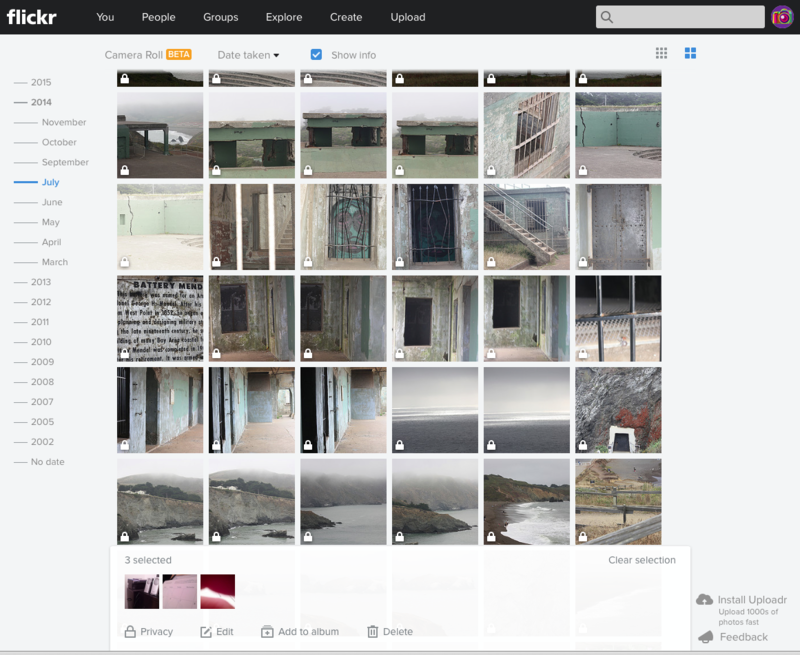 Flickr has unveiled a feature called Camera Roll for some of its members to try out. As a browser-based desktop interface, the Camera Roll is designed to make organizing your photo collection easier. If you go to your Flickr page and see Camera Roll sporting a Beta badge under the You menu, then you are all set to give it a go. Still in beta, it appears to be rolling out slowly to various Flickr members, as reported by PetaPixel. The first thing the new interface reminded me of was Dropbox’s Carousel, except without the rolling slider bar. In the Flickr interface, you just click on a year, and it expands to reveal all those months in which you posted images to the service. As you scroll through the images, the marker on the left-hand side moves in conjunction with the dates. You can sort the list by either date taken or date posted and you can select and deselect by clicking the individual thumbnails. All selections appear at the bottom of the window awaiting further instructions. And speaking of thumbnails, they can be small or mid-sized. Selecting any individual photo gives you the option of adding it to a photo album, and you can use the interface to search for your albums. You can also see more or fewer images by expanding the browser window. 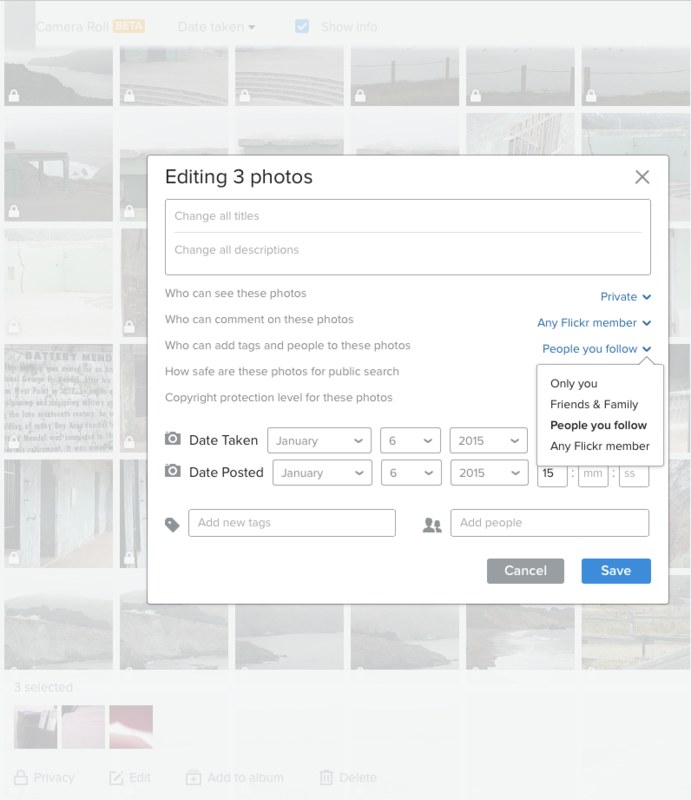 Photos you select appear at the bottom of the window where you can batch process them by making them public or private, editing them, adding them to an album or deleting them. Editing in this schema is organizational in that it won’t let you crop or fix exposure but rather change who can view, comment, add tags, add copyright protection, and make them available for public search. Double clicking a photograph opens that photo’s page in a new browser tab, where you can do actual image edits. 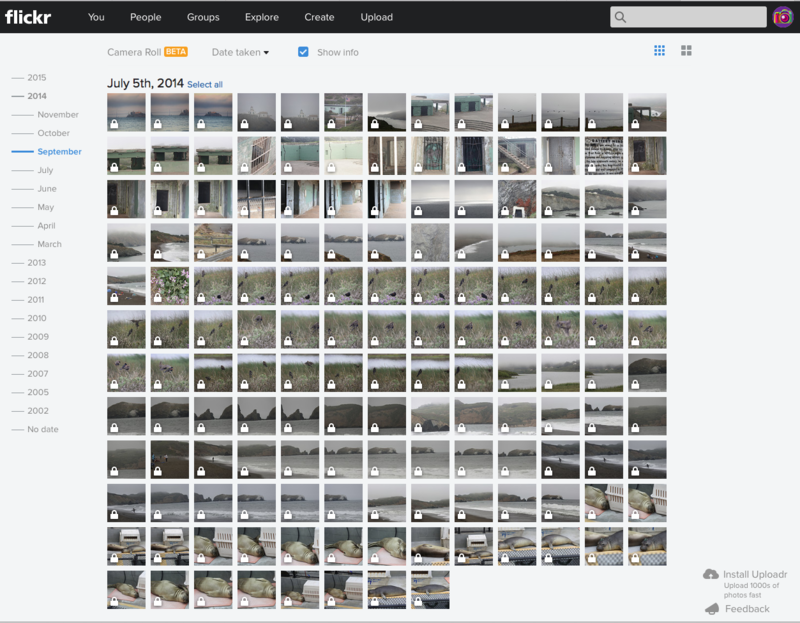 If you enjoy taking trips back in time and reviewing old images, or if you find yourself needing to work with multiple photos from various points in time, this new feature, currently under development and not available to everyone, will come in handy. Flickr has been quietly testing the feature for awhile and posted some details about it in its help log.